Foot pain can put an end to an otherwise normal day, but there are treatments that can help. Dr. Christine Ellie of New York Bone & Joint Specialists, a leading orthopedic practice with NYC offices in the Upper East Side and Midtown West neighborhoods of Manhattan, offers unparalleled expertise in a wide range of surgical procedures, including foot surgery. If you’d like to learn more about her approach to surgical foot care, book a consultation today, either online or by phone. When should I seek treatment for foot issues? Think about the daily stress placed on the network of small bones, ligaments, muscles, tendons, and nerves in your feet. While foot problems are common, it’s astounding that such a small area of your body can sustain so much daily pressure and still keep you moving and “on your feet,” both literally and figuratively. Occasional foot pain is usually nothing to worry about. When your pain follows a traumatic injury, or is severe or persistent, you should schedule a diagnostic exam. Left untreated, foot problems like fractures and ligament tears can worsen, leading to a need for more intense intervention. What are the treatment options for foot problems? Your treatment path depends on your specific set of circumstances. In some cases, a period of rest and wearing a stabilizing device is all that’s needed to allow your body’s natural healing powers to resolve the issue. In other instances, surgery is the best path to repair damage and restore proper function. Before you make any treatment decision, Dr. Ellie ensures you have all the information you need to choose the right path. Some issues are relatively simple to repair. Bunions are a good example, and occur when the joint of your big toe becomes deformed, causing your toe to bend in toward your other toes. Surgical repair corrects that orientation, and is usually a quick outpatient procedure. On the other end of the spectrum, foot reconstruction is a surgical procedure that corrects structural abnormalities or damage stemming from a traumatic injury. These procedures are highly individualized and can take many hours to complete. Bone fusion, joint implantation, soft tissue repairs, tendon or ligament repair, and installation of fixation devices can all be part of reconstructive surgery. What role does rehabilitation play after foot surgery? Dr. Ellie has a strong background in sports medicine, and has treated athletes at every level of competitive play, from recreational sports to professional athletics. She emphasizes the importance of an effective rehabilitation plan after foot surgery. You’ll receive a customized rehabilitation plan that helps speed your recovery, strengthen your feet, and prevent future injury. Rehabilitation helps you return to the activities you love, and minimizes lasting impact on your performance. 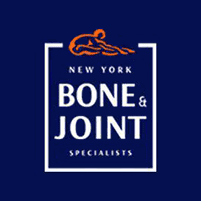 When you’re ready to learn more, schedule a consultation with one of the best foot surgeons in NYC, Dr. Ellie at New York Bone & Joint Specialists. You can set up your visit online, or by phone.